Five things to know about growing herbs. Herbs and spices vary in the growing conditions required. Some require full sun and a well drained soil, others require moisture and shade. Some herbs can be harvested continuously, others are harvested the whole plant at a time. Many herbs can be grown the year round, some are treated like annuals. The best herbs to grow are those that you will use the most. Growing your own herbs and spices provides a fantastic source of kitchen ingredients that are fresh and full of flavour. It is a far better grow your own herbs than to buy prepackaged varieties that sometime contain less than 50 % of the herb you are paying for. Herbs fall into a number of categories. Culinary Herbs – Popular varieties used in cooking, include rosemary, parsley, sage, oregano,thyme, chervil, chives, basil, dill and many more. Aromatic Herbs – Used in perfumes, incense, soaps and potpourri. 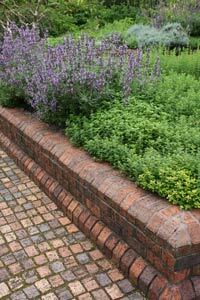 Insect repellent herbs – Wormwood and tansy are two herbs used as insect repellents. Herbs and Spices have been grown for centuries and hundreds are offered for sale by mail order. In the home garden herb plants can be grown from seedlings or seeds. Raised bed gardens for herbs (picture below) are popular as is growing selected herbs in pots and containers. Herb growing instructions and uses are included with individual A – Z herb plant profiles. Herb plants are easy to buy online with many specialist herb nurseries having a wide range of herb plants for sale by mail order. Growing conditions vary greatly, so ask your supplier for an information sheet. You need to make sure that you check with a reliable source before using herbs medicinally. Information on specific herb plants and spices. The range of herb plants and seeds that you can buy online is much wider than that presented in most supermarkets, many culinary herbs and aromatic herb plants not readily available can be grown from seeds or seedlings for sale online. Herb plants are are one of the most popular plants grown, available as seedlings, tubestock or as seeds from specialist growers many are available year round. 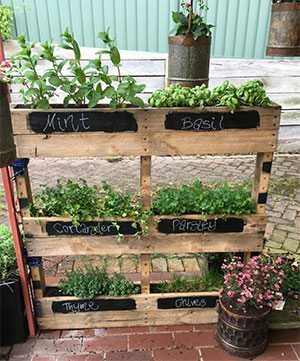 Fresh herbs are easy to grow in the home garden, you can even dry your own herbs for use out of season. And yes you can grow your own saffron.